The entire works of Charles Darwin, one of modern science’s greatest and most revolutionary thinkers, are now freely available online. The 20,000 texts and 90,000 images available now at darwin-online.org.uk include Darwin's groundbreaking 'On The Origin Of Species'. "This release makes his private papers, mountains of notes, experiments, and research behind his world-changing publications available to the world for free," said John van Wyhe, director of the project at Cambridge University Library. "His publications have always been available in the public sphere - but these papers have until now only been accessible to scholars," added van Wyhe. "The release of his papers online marks a revolution in the public's access to - and hopefully appreciation of - one of the most important collections of primary materials in the history of science," said van Wyhe. This incredible collection of Darwin’s scholarly work, alongside lots of more personal papers (extending to his own recipe books and notes and caricatures from his childhood) is a vital resource for anybody with a passing interest in one of the most vital thinkers of the modern age. 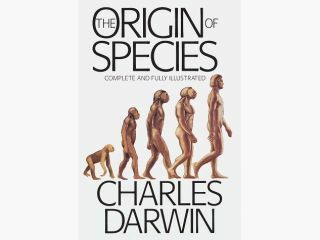 Darwin was denounced by the Church of England as a heretic when 'On The Origin Of Species' was published in 1989.